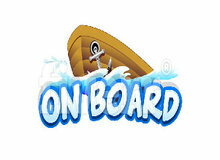 On Board - Sail through beautiful scenes of tropical and exotic lands while playing. The game is available for $0.49, but the winners of our contest will get it for free. Completed all tasks and instantly got no key. Key literally sent 3 minutes ago. They gotta work on their "instant". Thanks a lot for your support! The key was sent to your email address. Make sure to check your junk and spam folders if you can't find the key. supercyb, Read this :D Thanks a lot for your support! The key was sent to your email address. Make sure to check your junk and spam folders if you can't find the key. syrusch, Read This :D Thanks a lot for your support! The key was sent to your email address. Make sure to check your junk and spam folders if you can't find the key.